From a new shipment from Italy, this wonderful textured wool fleece is just right for a fabulous cozy cardigan, jacket, cape, topper coat, etc. 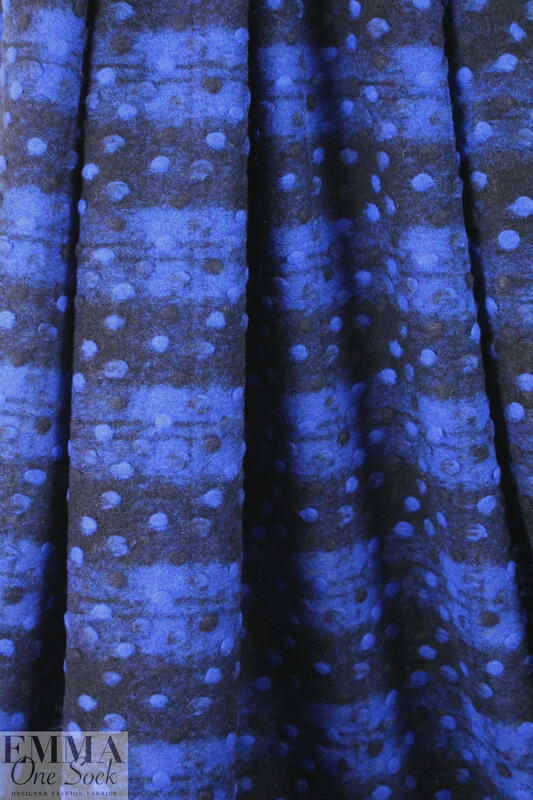 The textured graphic dot pattern (4.625" repeat) features raised dots and a brushed texture, and the design is knitted in (not a print), seen as a flat weave on the reverse. 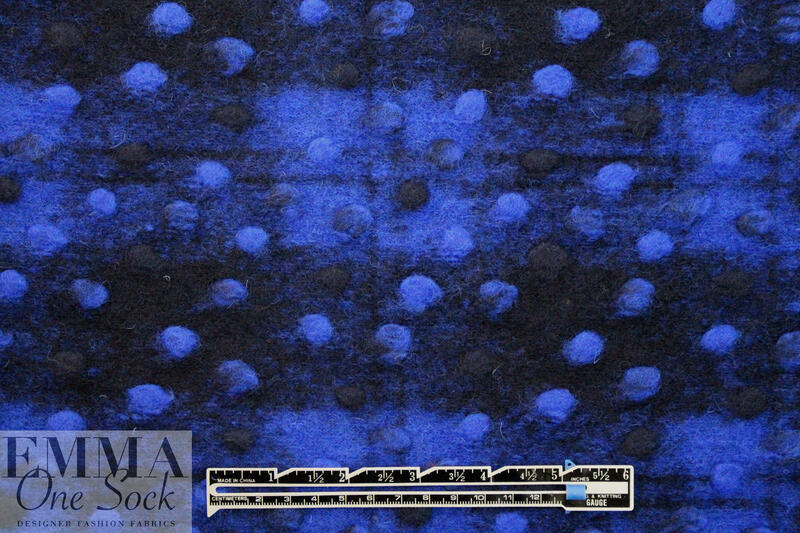 Colors are midnight and electric blue, with some areas mixed for a navy heather (PANTONE 19-4025, 19-3955). 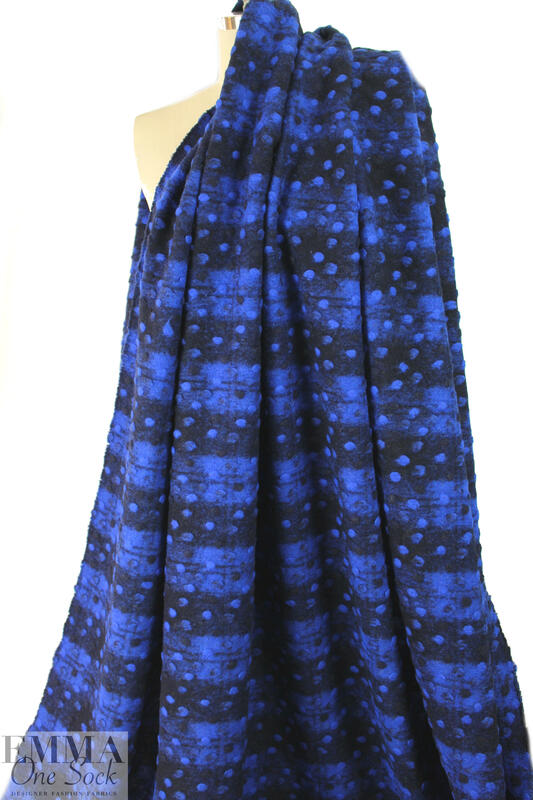 The fabric has a knit construction but it's quite stable with about 15% stretch in the width, and it has neat decorative selvages that can be used at hems or edges. 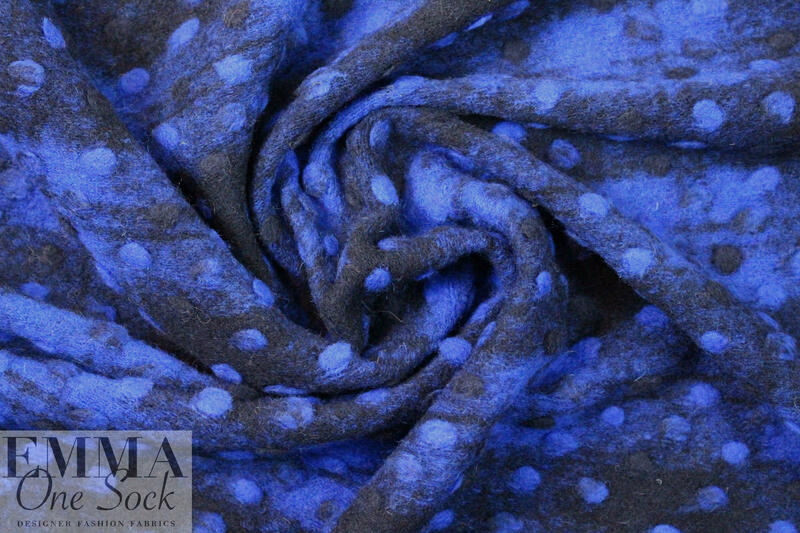 The fabric is medium weight with body in the drape, and a cozy, fleecy texture. Dry cleaning recommended, or treat as you would any fine sweater knit (hand wash, lay flat to dry).